Conventional wisdom holds that team building is a vital component of success for any kind of activity in which workers can be divided into teams. 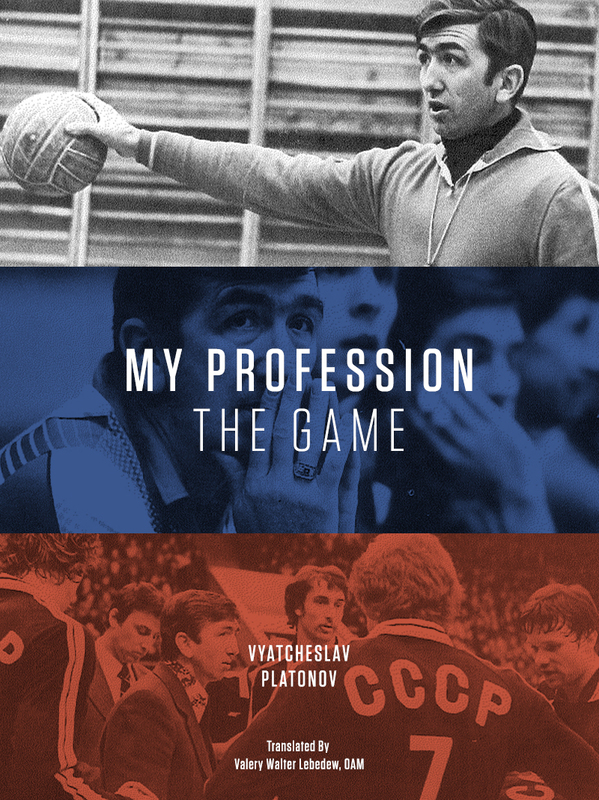 Sport is an obvious example and I have participated in such activities as a player and organised them as a coach. Last season, for example, we hired a company to organise a two day team building session that included half a day on a high ropes course. It was great fun, the guys spent time together, we were tested and challenged and had to work together to achieve those goals. However, when I did my season review, I couldn’t in all honesty say that I could see the fingerprints of that team building session on our final performance. All of the issues we had that impacted on our performance, both positive and negative, were things that arose during our everyday training/travelling/playing environment. When the time came to plan this season, I thought about what kind of team building I should do, but always with the idea in the back of my mind that I’m not sure if it really works. So I did what you should do with all conventional wisdom – challenge it. Our goal is performance. To achieve maximum performance we need to work effectively as a team. To work effectively as a team we need to communicate well and trust each other to fulfil all our individual functions. So communication and trust are the keys. What do we need to communicate? We need to communicate what we are doing on the court, during and between rallies. We need to communicate fast and efficiently, probably using some kind of shared shorthand and jargon. How do we need to trust our teammates? We need to trust that they will a) do the right thing at the time (i.e. follow the tactics of the team) and b) do it well. Confusion on the court is caused when one player doesn’t think his teammate will play the ball or will play it but play it badly. 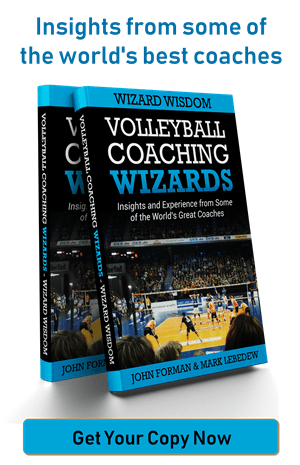 All of those aspects of communication and trust are specific not only to volleyball, but also to each team and can only be improved on the court. To paraphrase Gary Pert ‘Culture is what you do every day’. Team building is not AN activity of the team, it is THE activity of the team. If you want to build a effectively performing team, create good systems, practice them, enforce them consistently, practice them again. The first and therefore most important point… create good systems. There is no way around that. Producing performance is a process, you can’t do it with tricks. Even though other coaches/employers might disagree, I had the very same experience like you. Those special team building sessions can be fun, but they don’t seem to have any influence on the process. I came to the conclusion that many people using them as a way to show others that they are working on that subject. Totally agree in any pursuit that requires team performance. It has to be specific. “team building” is rubbish. Totally agree with Pert. Teams are the sum of their behaviours, and these behaviours need to be specific. the notion that you can take a team away somewhere and get them to develop values and behaviours in a nonsensical context and get them to bring those values and behaviours back to their core business is just silly. Sure those things are fun, but let’s not call them team building. Good teams have a high level of trust. Humans measure trust on the quantity and quality of communication they receive from others. In volleyball, i’d agree that communication is less important than understanding. But i think you still need to reward and communicate the feedback when that understanding is demonstrated and the desirable behaviours happen. Certainly emphasising and rewarding “good understaing” has made a huge difference in my teams this year. A “trust fall” might be emotionally uplifting, but won’t build the trust between 5 and 6 that 5 will get the tip and let 6 hang back to play the pipe. But specific training and feedback will. Gotta agree, classic team building activities are really only good for building socialization or good for building team work if your sport is negotiating the high ropes. I watch a team on the other side of the net tonight have 5 players call mine and all left the ball to hit the floor. The group huddle after the point was positive I’m sure they all trusted each other (perhaps too much) but there was nothing specific to the volleyball, thus the point / game was lost. In regards to culture, I always believed you can not change the culture by trying, you can only change the daily behaviours and in turn they create the culture. Team Building exercises seem to be an attempt at changing culture directly. Trust is situational. I trust Fev to kick a goal from 50m out, but I don’t trust him to look after my liquor cabinet. I can trust someone to catch me without trusting they will put a tough serve in at match point down. This is why players who are not friends can play successfully in teams – because they trust each other on court. Too often ‘Team Building’ exercises are to make sure everyone in the team realises that the 3 Characteristics of a Real Team are: Common Purpose, Adaptable Skills and Mutual Accountability. Therefore everyone needs to be clear that my purpose is the common one that everyone has to have, and that they are accountable to me. But, it doesn’t have to be that. I didn’t mean to suggest that culture and team building were the same thing, but that they are everyday activities, not one off exercises. I deliberately didn’t talk about the ‘testing boundaries’ part of common team building exercises because I think that is a separate thing. Although if I actually think about it, I’m pretty sure that is situational too. One boundary is not the same as another boundary. When I did a high ropes course, for a short time I was more confident climbing things, but it didn’t influence any other of my behaviours. And the effect was only short term, which is another important point about all kinds one off exercises, be they physiological testing, psychological inventories, team building exercises or anything else a coach gets excited about for a day or two. None of them are the least bit useful unless they are part of a program. The daily training environment is the best, most effective arena to development all facets of team and individuals. But it’s hard work. Very hard work. I didn’t mean to suggest they were the same thing either – just to suggest that people think they are at times, or think they are positively impacting Team Culture by doing Team Building exercises. They are not. I am delighted Alexis alerted me to this post. I agree entirely with your observations. I have been a volunteer fireman for the last three years and have learned a great deal about communication and trust through a growing awareness of a sensitivity to a team. Team building is not in my view a one off moment of clarity facilitated by groups offering leadership experiences. Thanks again for the post. It made a very enjoyable start to the day out here in the bush.